Well I had an interesting start to my day. When I got out of my tent I noticed there were a couple of police cars parked outside this caravan. Looked like they were searching the van. A little while later another two cop cars turned up and took a couple of people away. They didn't look very happy! Felt like I was in an episode of Cops. After my excitement for the morning, I was on the road at 7am. Noticed each morning is getting a little warmer, so I'm happy I'm getting a lot of the kms done before lunch. The first 30kms followed quiet country roads, which was nice. As it meant I didn't have to cycle along the New England Hwy, which is a major route from Newcastle to Brisbane. I passed a number of horse and cattle farms on my way to Musswellbrook. 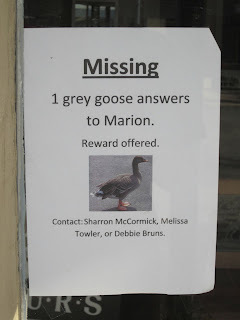 When I got to Musswellbrook, I stopped for breakfast. Musswellbrook is similar to Scone, so after I was fed I was on my bike again. The road leading out of Musswellbrook to Denman passes some open cut coal mines. 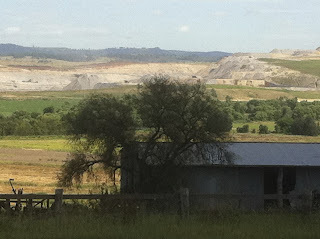 The coal dug out of these big holes in the ground is used to produce energy for NSW and is also exported overseas from Newcastle. When in Newcastle, you can usually see a queue of ships waiting to load up. 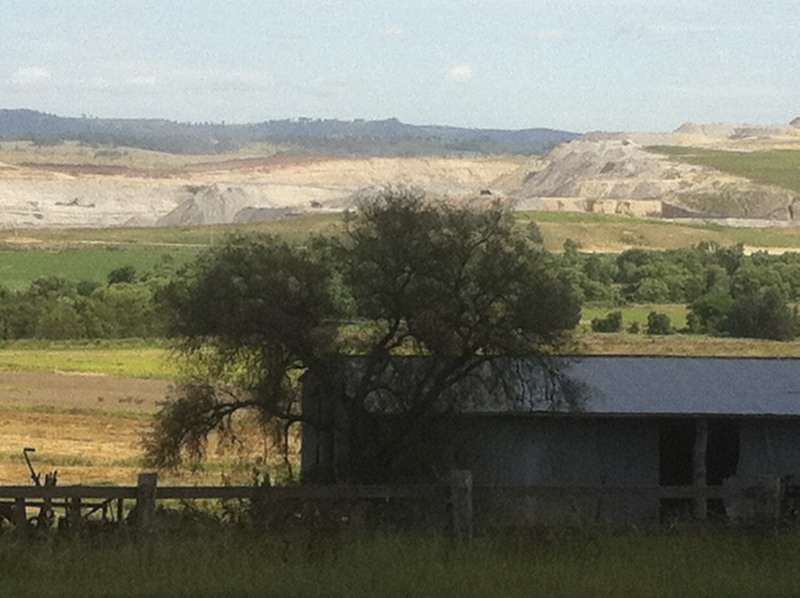 Once I got past the coal mines the landscape changed again. 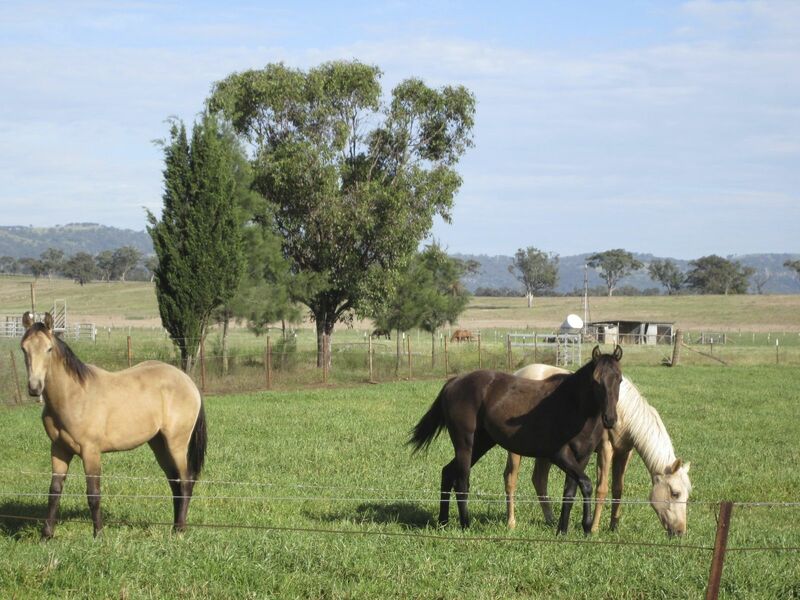 I now entered the Upper Hunter Valley region. 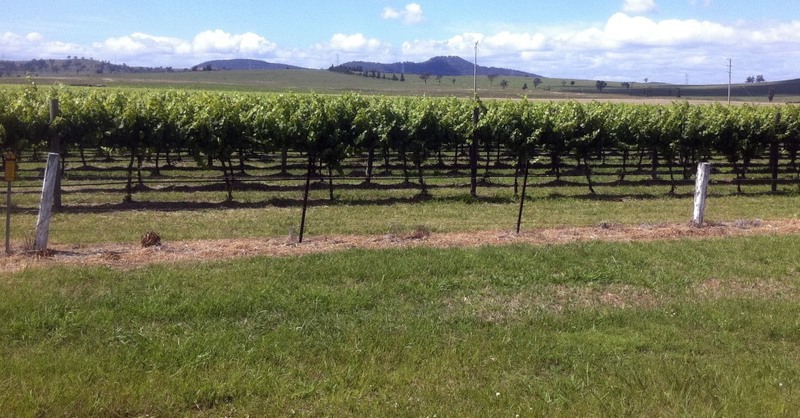 This area is known for it's vineyards and small country towns. I rode into Denman just before 11am and I am staying at the local caravan park. This caravan park is certainly in a nice quiet location, next to the river. When I set up my tent, I had a walk into town. The path from the caravan park to town is covered in names. 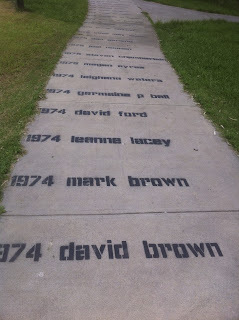 It is a list of all the people whom have lived/died in this town and is called the 'Memorial Path'. Denman itself is a small village, which has a few cafes and shops. Being midweek it is pretty quiet, but on weekends it would certainly get busier. In May each year it has a food and wine festival, looking at the photos of it seems pretty big. 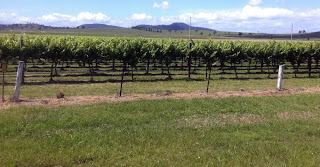 Even though I cycled just 60kms, the scenery certainly changed from horse farms, to coal mines and then to vineyards. So it was a very interesting ride seeing the different regions next door to each other.